In 1987, Starbucks opened the first international store at the Seabus Skytrain Station in Vancouver. Vancouverites are about to get an interactive education in coffee. 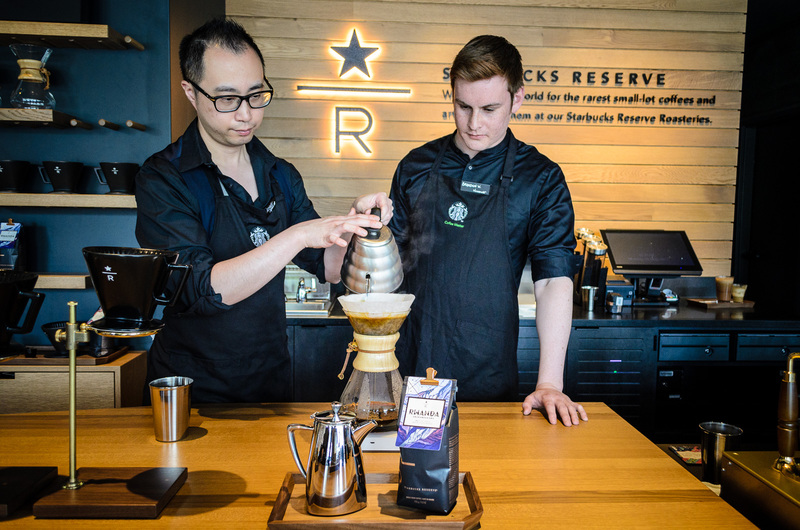 Today, Starbucks is celebrating 30 years in Vancouver by opening the first experiential Starbucks Reserve coffee bar in Western Canada. 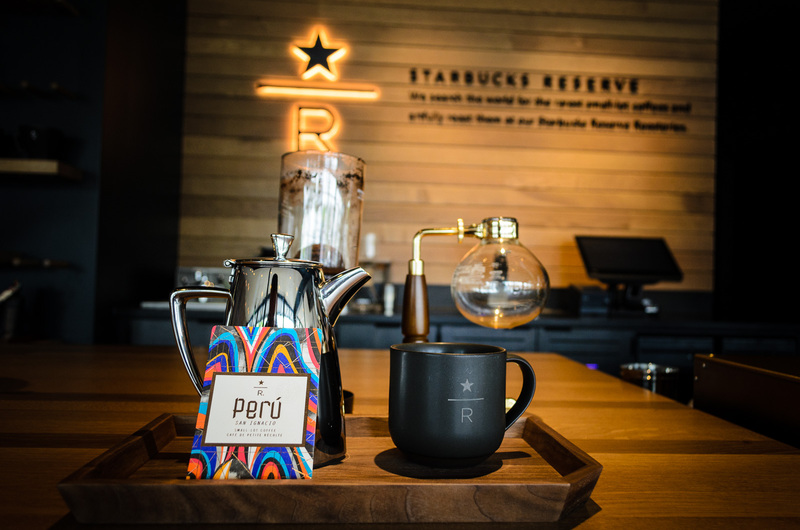 The fully renovated Mount Pleasant store is serving rare, small-lot Starbucks Reserve coffees handcrafted by baristas using state of the art brewing techniques; siphon, The Black Eagle, Clover brewer and ceramic pour-over as well as featuring Nitro Draft taps. 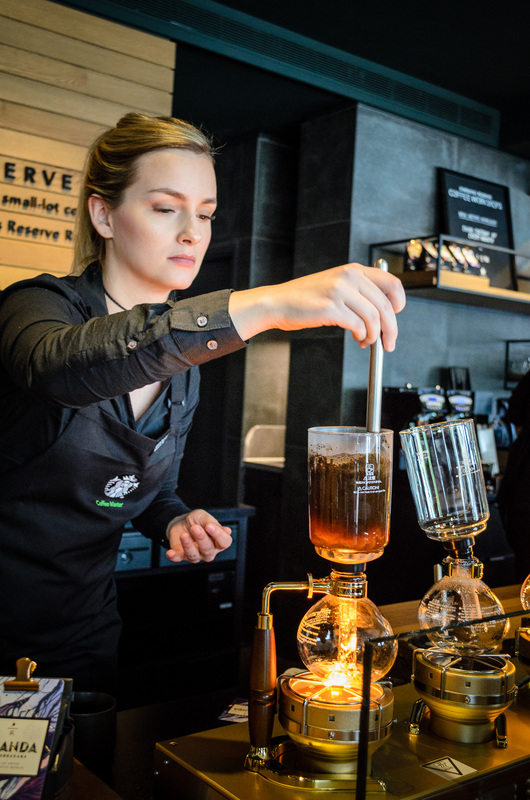 The reserve bar has an expansive six foot oak bar top, where customers sit face to face with their barista, immersed in the brewing and conversation around coffee. 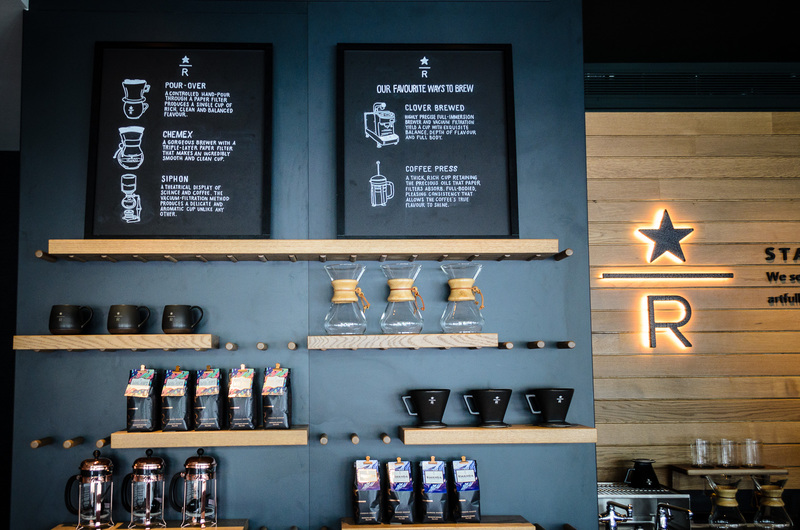 Located at 2980 Main Street, the new space featured sketches and photography of the flagship Starbucks Reserve Roastery in Seattle, as well as artwork local artist Diane Nelson of Brandon Johnson Art & Design. All of the woodworks are hand crafted by a local millworker and the loose furniture was produced by a local furniture shop. Starbucks Coffee Master, Merry Lou Proudfoot, demonstrating the Siphon brewing process. It’s one of the most elaborate and beautiful way to make great coffee. 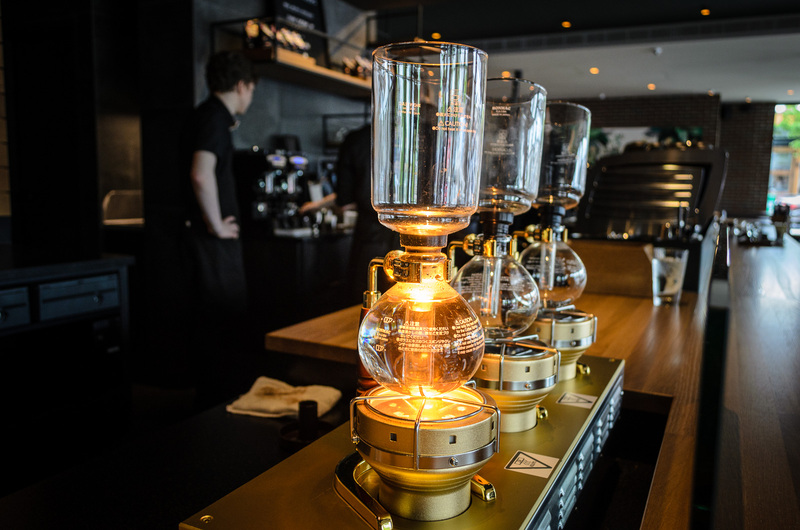 Siphon coffee maker was invented by Loeff of Berlin in the 1830s. 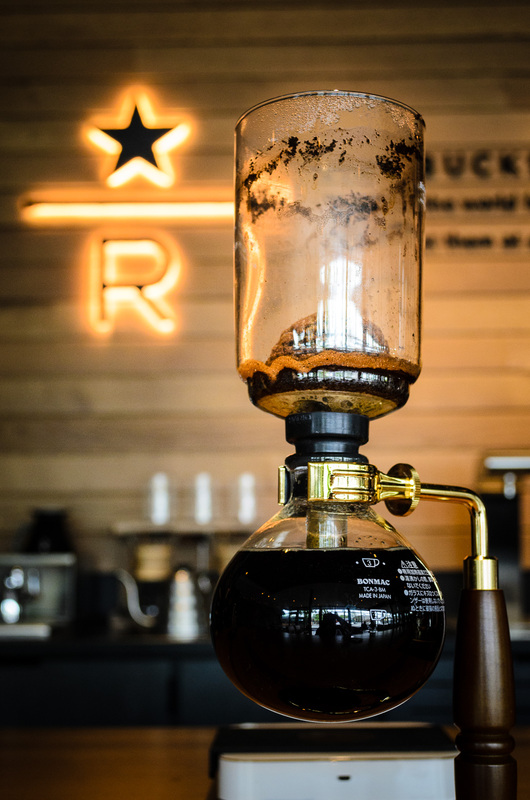 It is a full immersion brew system that create a vacuum in one chamber by forcing water up into another chamber, where the coffee grounds are steeped, and then allows the brew to drain back down into the bottom chamber. As a result, it brings the coffee intense fruity flavours. 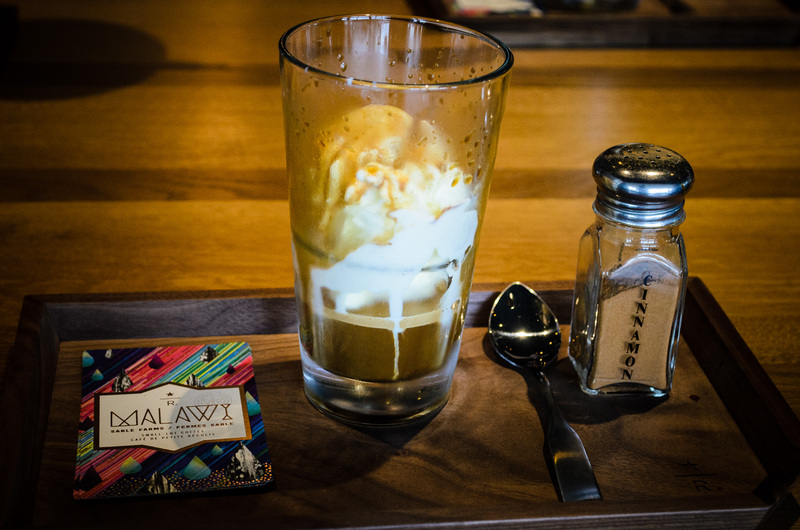 It’s the only Vancouver location that has the Black Eagle manual espresso machine to create the affogato. I highly recommend the House Affogato – two shots of Reserve espresso with a touch of Demerara syrup poured over vanilla ice cream. 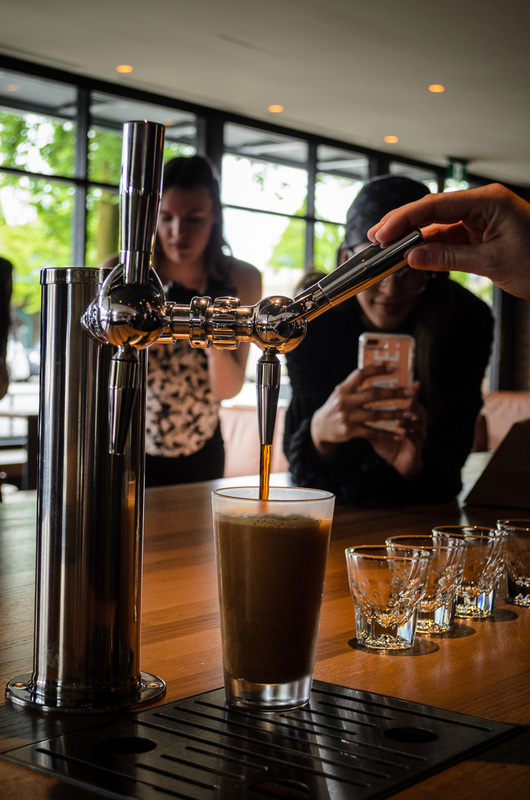 It also served the popular Nitro Brew – coffee cooled with liquid nitrogen.